Yesterday morning a woman in her mid-60s was taken to the hospital after a pack of mixed pit bull terriers attacked her as she was walking down a sidewalk in Winston Salem, according to police. The woman was attacked around 10am on East Sprague Street on Winston Salem’s South Side. When a nearby neighbor heard the cries for help and saw the attack, she quickly ran to the rescue and scared away the dogs. The neighbor then called 911 and the woman was rushed to the hospital. According to authorities, the woman suffered severe bites to her head, arms, and legs. Winston-Salem police quickly searched the area and found 11 dogs on the loose, all originating from a home in the 1200 block of Sprague Street. 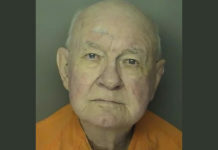 All the dogs have been transferred to Forsyth Animal Humane Society and their owner, Kenneth Byrd, has been charged with assault inflicting serious injury in connection to the incident. He is now facing $3,700 in fines and possible prison time.